A.T.E. represents over 50 principals in the domains of textile engineering, clean technology, print and packaging solutions and machine-to-machine solutions. The principals represented include world leaders in their respective field from across the globe, A.T.E. group companies and their joint venture partners. A.T.E. enjoys excellent and long standing relationship with all its principals, some are as long as over five decades! This reflects A.T.E.’s thrust on long-term partnership based on competence, trust, commitment and mutual respect. Advance Cooling Systems Pvt. Ltd.is a pioneer in heat control solutions. It offers a range of heat management devices and solutions for reliable and trouble-free operation of equipment and systems. The solutions offered are tailored to meet harsh operating conditions - high heat, humidity, dust etc. The company was the first in India to manufacture panel air conditioners. Established in 2002, A.T.E. Envirotech is committed to sustainable development. The company became part of the A.T.E. Group in 2008. Its core competence is in providing perfectly engineered solutions for water and waste water management. The company offers a comprehensive range of technologies to address treatment and recycling needs including for zero liquid discharge, with a combination of different processes like physico-chemical, biological and membranes to suit specific needs. In 2015, A.T.E. Envirotech joined hands with HUBER SE to offer cutting-edge technologies for wastewater treatment and recycling. Monforts was founded in 1884. Monforts is the market leader for a comprehensive range of machines for dyeing and finishing like stenters, hotflues, continuous dyeing ranges, relaxation dryers, compressive shrinking ranges (sanfor) for woven and knitted fabric as well as denim, while the latest addition being the heat recovery systems for low energy consumption. Cost conscious textile entrepreneurs are aware that cost of energy accounts for more than 60% of the total cost over a given period. The R&D department at Monforts is focused on these environmental and energy saving measures to help customers produce more on their machines with less energy and to meet environmental issues with a great sense of responsibility. With over 35 years of experience, Belgian Monitoring Systems (BMS) is a leading global supplier of Manufacturing Execution Systems (MES), with focus on the textile industry. BMSvision offers a wide variety of sensors, MES products and covers all textile manufacturing processes. It is the leading supplier in the field of automated on-loom fabric inspection. CEIA S.p.A., is a pioneer in the field of solutions in safety and savings, catering to various sectors such as textiles, pharmaceuticals, food industry etc. CEIA electronic metal detectors are universally recognized by leading world manufacturers of industrial machinery for their high quality and reliability. CEIA offers industrial metal detectors which are the ideal means of protection for production lines against accidental damage caused by pieces of metal which can enter the manufacturing process along with the material. Corino is one of the world’s most reputed manufacturers and suppliers of textile machinery for tubular knit good and delicate fabrics like silk, wool and so on, with its manufacturing base in Italy. It is a preferred supplier world-wide for balloon padder and wet slitters. Also, its classical rope opening lines are second to none. A sizable population of its products across the world with the best knit processing manufacturers symbolises the quality it imparts to processing of fabrics and hence the benefits that it offers to its customers. Color Service s.r.l. is a pioneer in the field of dosing, weighing, and dissolving of both liquid and powder dyes. Founded in 1987, Color Service provides fully-automatic and semi-automatic dosing systems for powder dyes, as well as automatic dosing systems for powder chemicals. These systems are both modular and expandable and allow for remarkable accuracy. Color Service also specialises in the automatic management of continuous dyeing cycles – in foulards and finishing. Other than textiles, Color Service also caters to sectors such as food and cosmetics. China Texmatech Co., Ltd. (CTMTC) , established in 1984, is the largest enterprise in China specialized in the import and export of textile machinery and technology. CTMTC provides equipment for synthetic lines of POY and FDY. Danti Paolo E. C. SRL, Italy manufactures textile finishing machines. Located at Prato, Italy, Danti Paolo began manufacturing textile finishing machines in 1935; the company has vast experience in textile finishing. Their machines are manufactured using only the best quality components thus ensuring high reliability as well as durability. Danti Paolo's product portfolio includes single and double drum raising machines, combined raising and shearing machines, shearing and vertical shearing machines, among others. With 25 years of experience, Datatex is a global leader in providing ERP solutions for the textile and apparel industry. As their software is specially designed with textile processes in mind, Datatex has built up the largest installed base in this sector with customers spanning 5 continents across 42 countries, including large textile corporates in India. Datatex is the only vertical ERP solution company that provides solutions based on latest web-based technology for the textile industry. Based in China, Ningbo DeChang Precision Textile Machinery Co., Ltd. specializes in the research, manufacture, sales and service of compact spinning machinery. Backed by in-house R&D, DeChang Textile Machinery is committed to technology innovation. DeChang has obtained over 24 patents and has participated in the drafting of two textile industrial standards (“Lattice Apron for Compact Spinning Device”, Standard No. FZ/T 930682010 and “Compact Spinning Device”, Standard No. FZ/T 930732011). DeChang’s award-winning products are sold in many countries including, Pakistan, India, Bangladesh, Turkey, Vietnam and Indonesia. EAT – The DesignScope Company - is a software house and a service and consulting company for all applications from electronic textile patterning to textile production data. EAT design software carries the whole experience of more than 30 years of knowledge related to all technical and creative aspects of textile production. EAT design software packages cover almost all the needs when it comes to CAD/CAM for the textile industry. EAT also develops custom software tailored to specific customer requirements. The Fong's Industries Group was founded in 1963. Since its inception, the group has focused on its principal business of design, manufacture and sale of dyeing and finishing machinery. Fong's National Engineering Co. Ltd. and Fong's National Engineering (Shenzhen) Co. Ltd. are the group's flagship companies specializing in the design, manufacture and sale of dyeing and finishing machinery, with an annual production of more than 2,000 units. These companies specialize in design and manufacturing of dyeing and finishing equipment for yarn dyeing, piece dyeing, dryers and finishing. Fong's National's success stems from its constant innovation in product design and technology, which is in line with the company's motto: "A Name You Can Trust For Your Dye House Needs”. Ensuring complete performance satisfaction, Fong’s products provide both economic and ecological benefits to customers. Over the past four decades, Fong's National has successfully built its brand FONG’S as world’s leading dyeing and finishing machinery supplier. Godrej Consoveyo Logistics Automation Ltd.(GCLA) a joint venture between Godrej & Boyce Mfg. Co. Ltd. and Consoveyo S.A. is pioneer and leader in offering intelligent storage, movement and handling solutions in intra-logistics domain. The company offers technologically advanced customized solutions in intra-logistic automation for various industry segments. GCLA exports to Singapore, Indonesia, the Netherlands and several other countries through its principle partner Consoveyo. ramischGuarneri®, a widely acclaimed brand from Officina Meccanica Tullio Guarneri s.r.l., Itlay, is a leader in both conventional and controlled deflection calendars for textile and non-woven fabric processing and finishing applications.The company offers a range of textile calendars starting from convention bowl calendars up to state-of-art technology NIPCO L calendars and is the only world-wide manufacturer to offer the NIPCO controlled deflection system from VOITH PAPER for textile finishing. This roll technology is characterised by decisive design advantages. They offer various models like NIPCO® L, NIPCO® I , NIPCO FLEX®,NIPCO TECH TEX®, SIMILI calendars and conventional calendars. Established in 1998, HMX is a part of the A.T.E. Group since 2008. The company with its vision of ‘global leadership in green air conditioning’, executes energy efficient projects for comfort cooling. The HMX-Ambiator was the first innovative product that HMX launched, followed by the PCU-F and FAAC. The distinct features and benefits of these products have made HMX the preferred choice for cooling of large industrial and commercial spaces for people comfort and process cooling. Inarco was formed in 1960 by Associated Rubber Industries to manufacture high quality textile mill accessories. Now INARCO is India’s leading manufacturer and supplier of cots and aprons with two factories and four regional offices spread across the country. It is also catering to export markets of Turkey, Egypt, Syria, Indonesia, Thailand and Bangladesh. It is the only ISO certified manufacturer of cots and aprons, created through own technology, based on fundamental research in India. An ISO 9001 certified company, INL International Technology PTE., LTD. is a hi-tech enterprise that is headquartered in Singapore and specialises in manufacturing computerised hanger systems. INL also manufactures other garment production equipment such as box conveyor systems, intelligent storage systems and data tracking systems that cater to different requirements of the textile industry. Karl Mayer is a world leader in the production of warp knitting and warp preparation machinery, as well as for denim machinery. Karl Mayer’s competencies include technical textiles, glass fibre applications, denim conventional textiles, and specially all kinds of warp knitted applications. The Karl Mayer Group has grown explosively, organically as well as inorganically. Today, the famous names of Sucker, Benninger, Griffin and Rotal are all part of Karl Mayer. Luwa India Private Limited, a subsidiary company of Luwa Air Engineering AG, Switzerland, was established in 1993 in Bengaluru. Luwa is a market leader in air engineering. Years of experience, profound know-how and proven European technology have led Luwa to provide customized solutions to several industries which are now trusted by over 1,000 customers in India. Luwa India has its offices at New Delhi, Coimbatore, and Indore, apart from Bengaluru. Its product range include: Customized air handling units; turn key air conditioning systems; central vacuum systems; automatic overhead traveling cleaners; and building management system. EMahlo is the world's leading manufacturer of process control and automation systems for textile finishing. The range of products and services set new standards in terms of quality assurance and process optimization, and they provide the best value for money, no matter how diverse the individual requirements are. MAG, one of the leading manufacturers of textile testing equipment in India, manufactures high quality textile testing equipment for fibre, yarn, fabric and garment. These products conform to international standards like ISO, ASTM, AATCC, BS, SDC, IS, IWS, IWTO, ITMF and DIN. MAG can supply and install the entire testing lab equipment as per a buyer's specific requirements, and thus facilitate obtaining accreditations for product quality. Matthys provides automation solutions for sewing, cutting, and confection processes for carpets, bathmats, rugs, bed sheets, and blankets. With the best systems for automation, all Matthys solutions provide best flexibility and consistent quality output. Their product range includes automatic sewing units for the confection (hemming, binding over edging) of carpets, bath mats, blankets, bed sheets, pillow cases, curtains, etc., automatic cutting units with multiple blades and automatic sewing units for technical fabrics. 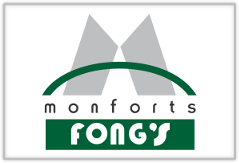 The joint venture of the leading German textile machinery manufacturer, A. Monforts Textilmaschinen GmbH & Co. KG Mönchengladbach and Fong's Industries Co., Ltd., Hong Kong established in January 1999. Osthoff-Senge was founded in 1912 at Wuppertal and is still family owned. This innovative company specialises in the construction of singeing machines. With more than 3000 units in operation, Osthoff-Senge is the market leader in this field. Progressive thinking, continuing development, comprehensive know-how and decades of experience are the cornerstones of its success. Osthoff is a by-word for singeing. P.M.T. Ribbons s.r.l., Italy is a young and dynamic company established in 1995 by the founders Mr. Provenzi and Mr. Todeschini. P.M.T.Ribbons is into designing and production of a dyeing and finishing machine range for narrow fabrics, rigid as well as elastics. The flexibility, the high quality standards and the continuous innovation allows the execution of custom made equipment. The business seriousness and the company rigor have allowed P.M.T. Ribbons to grow over the years and to acquire an industrial spirit, while maintaining management flexibility. A progressive training and technical development programme, along with a technology investment plan, have enabled the company to enhance the designing and production departments and the implementation of projected plans. The staff professionalism and qualification make P.M.T. Ribbons very flexible, always focused on satisfying the customer requests and deadlines. Quanzhou Jingmei Machine Co. Ltd is a well-known brand from China having already sold hundreds of circular knitting machines not only in India, but other parts of the world as well. They manufacture knitting machines in single jersey, fleece, double jersey, interlock and rib, autostriper, jacquards, terry, striper jacquard. SARA ELGI Industries Limited is a renowned name, with over 50 years of experience in providing engineering solutions for the textile and motor industries. The ability to comprehend customer needs and to evolve customised solutions is what makes SARA ELGI stand apart. The company has always been at the forefront of technological advancements and has designed and developed products to suit the futuristic requirements of the industry. SARA ELGI offers the most modern overhead travelling cleaners, bobbin transport systems, and yarn conditioning systems for the textile industry. Savio India Ltd was set up with the intention of providing the world-class Savio products, especially for the Indian textile market. The establishment of Savio Group's operations in India confirms its strategic vision and its keenness to grow with coherence and commitment towards its mission. Savio India's corporate office is located in Coimbatore, India. Also at this location are their service headquarters, spares and training centres, a fully equipped electronic lab, showroom, and manufacturing setup for Two for One Twisters that are sold around the world. Savio Macchine Tessili S.p.A. designs, manufactures, and markets automatic winders, continuous shrinkage and bulking winders, two-for-one twisters, and rotor spinning frames for the yarn finishing sector in Italy and internationally. It also offers spare parts through agents and affiliates, training and technical assistance services, and preventive maintenance contracts. The company was founded in 1911 and is based in Pordenone, Italy with factories in Italy, China, and India. Screen O Tex India Pvt. Ltd.
Screen O Tex India, Ahmedabad, India, has been bridging the gap between science and art in textile and screen printing for more than a decade now. Beginning its corporate journey in 2001, the company has raced ahead to the forefront of the industry, fuelled by technological excellence, focused research & development and adherence to international quality criteria. Today, the world-class range of screens manufactured by Screen O Tex are well accepted in India and are exported worldwide. Established in 1962, Semyung Electric Machinery Co. Ltd is a leading manufacturer of sectional beams for tricot and raschel warp knitting machines. Semyung Electric’s standard forged beams satisfy the demanding requirements of warp knitters around the world due to strict quality assurance. SSM Schärer Schweiter Mettler AG is well known for offering the most suitable assembly winding machine for every application as per the winding and thread laying system requirements. SSM machines can be customised to suit the exact needs of the customer. SSM assembly winders can also be prepared to meet the needs of automation. Stalam is a world leader in textile dryers and manufactures the widest range of textile dryers with specialisation on radio frequency dryers. Presently, more than 1000 STALAM radio frequency dryers are in operation in the textile sector, with rated power values ranging from 3 to 250 kW; from the simple, manually operated machine, to the fully automated line complete with computerised control and supervision systems. TeraSpin is a quality manufacturer of precision textile machinery components. 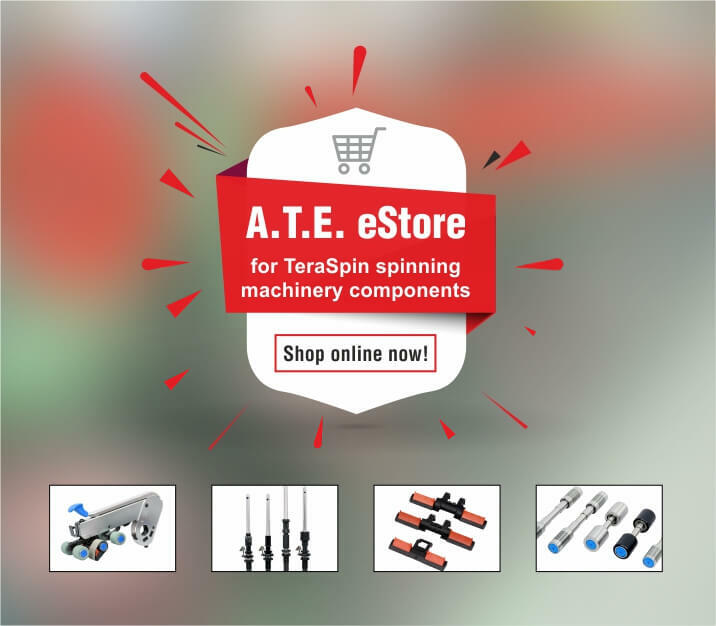 TeraSpin’s product range encompasses weighting arms, top rollers, cradles, spindles and spindle inserts. TeraSpin was created by A.T.E.’s acquisition of SKF India’s textile business unit. Hence, TeraSpin's products are built on the deep foundation of SKF knowledge and expertise. With the smooth transfer of knowledge & processes to TeraSpin’s state-of-the-art manufacturing facility, high product performance and durability is guaranteed. TEXION Software Solutions was founded in 2008. TEXION is an ideal software for KARL MAYER warp knitting machines as it understands the machine language better than any other software in the market. Being a former software department of ALC Computertechnik GmbH, TEXION has almost 30 years of successful customer experience. The TEXION software is continuously innovated and upgraded in close cooperation with the world market leaders in the textile knitting industry, making it the ideal software for the KARL MAYER warp knitting machines. With more than 50 years of experience, TEXPA Maschinenbau GmbH & Co. KG is a worldwide leading manufacturer of fully automatic installations for cutting, hemming, folding, and packing of home textiles. TEXPA's product portfolio includes semi- and fully-automatic machinery for the manufacture of home textiles for terry products, bed linen, table linen, curtains, blankets, cleaning cloths and more. TEXPA's forte lies in its years of experience combined with proven production technology, highly efficient systems design, and continual product improvement. THEN Maschinen GmbH is one of the world’s largest suppliers of piece and yarn dyeing equipment, with a range covering everything from beam dyeing, chemical and dye dosing systems to control and control stand systems. THEN is part of Fong’s Industries Co. Ltd., a company listed on the Hong Kong Stock Exchange Limited. In the jet dyeing machine segment, THEN has developed the AIRFLOW, which is in successful operation around the globe. The company’s extensive range of yarn dyeing machines is internationally unsurpassed. In addition, THEN occupies a leading position with regard to dyehouse control and management software. Many hundreds of successfully installed plants all over the world demonstrate the reliability and economic efficiency of THEN’s dyeing equipment, which is based on an aerodynamic system. Trützschler was established in 1888. It has global operations with its main manufacturing facilities and headquarters at Mönchengladbach, Germany. Trützschler is the world leader in developing and manufacturing textile spinning machinery from bale to sliver. Due to continuous innovation, Trützschler has always remained a market leader in all its products like blow room, cards TC 06, TC 07 and TC 07S, draw-frames TD 02, TD 03 and TD 03-600, super lap TSL 1 and comber TCO. Trützschler is also a leader in the non-woven area through its companies Erko Trützschler GmbH and Fleissner GmbH. Trützschler Card Clothing (TCC) has successfully manufactured card clothing for high production cards for many years. Decades of experience in carding technology makes it a business partner in demand wherever textile raw materials are processed. Since 2003, the company belongs to Trützschler, a successful family company with a long standing tradition of excellence and innovation.Trützschler produces machines and systems for spinning mills and the nonwovens industry, and is one of the world's leading manufacturers of high production cards. The merger of the two companies combines the greatest technological competence in the development of cards and card clothing. Trutzschler Nonwovens has been formed by merger of the two long established companies Erko and Fleissner under the umbrella of Trutzschler and offers knowledge and competence in all matters relating to the production of nonwoven product and man-made fibers. Two specialized technical centers are available for tests and developments in Egelsbach and Dulmen. Truetzschler India was established in 1981 as a joint venture between A.T.E., India, and Trützschler, Germany. The unit is located in Ahmedabad, India. The product range comprises of modern blow-room, high production cards, high speed draw frames and high performance filters for dust & waste collection. Trumac has state-of-the-art manufacturing facilities and is a true technology leader amongst textile machinery manufacturers in India. Union International, China, has a long history in digital printing. In the year 2014, Union International, China, and Zimmer, Austria, joined hands to introduce a flexible digital textile printer with an excellent price-performance ratio to cater to the demand for a printer that can manage different run lengths efficiently, covering small lots for sampling as well as longer batches for regular print production. Valence Electrons Private Ltd., Bengaluru, India, is part of the A.T.E. Group. Valence is in the business of providing world class industrial static control products and solutions - AC static eliminator bars, DC static eliminator bars, power supplies for static eliminators, passive static discharge brushes, ionised air blower, electrostatic meters and anti static touch pads. Valence's products are designed based on the company's deep domain expertise and are well accepted in the market for their superior performance and high reliability. Established in 1990, Yamuna Machine Works is one of the leading manufacturers of machinery for textile processing, finishing and other associated branches of industries. Offerings for the carpet industry include carpet back coating lines and dryers for ChromoJET and Colaris digital printers. Backed up by an excellent service network and in-depth technical know-how, Yamuna Machine Works ensures complete customer satisfaction. Since 1874 Zimmer is working hard to develop, design and manufacture the best finishing machinery for textile, carpet, non woven, paper and other roll to roll substrates. In keeping the tradition Zimmer Austria has designed, delivered and installed more than 300 ChromoJET units worldwide, and their satisfied customers have produced millions of meters of products. One of the outstanding characteristics of Zimmer machines are their immense flexibility. All systems are custom built from standardized elements in order to keep the manufacturing cost down and to give the customer short payback time due to a high R.O.I. factor. All machine models are especially designed for fasters design change, shortest possible color ways and non-stop production. ABS Pumps, a 140 year old organization and part of the German Multinational Sulzer Group are world leaders in products and solutions for water and waste water industry, particularly for the municipal waste water segment. ABS has a global presence in more than 50 countries with factories in Sweden, Germany, Finland, and Ireland. Ebara Corporation is a multi-national engineering organization with its head office in Tokyo, Japan. It was established in 1920. Ebara has its presence in the field of fluid machinery, environmental engineering, and precision machinery. With 53 subsidiaries in 17 countries and employee strength of over 2000, Ebara is viewed as a leading manufacturer of rotating and process equipment. Their product range in pumps includes stainless steel sheet metal pumps, cast centrifugal pumps in horizontal and split case construction, mono block pumps, and pressure boosting systems. Ebara pumps are recognized the world over as economical, reliable, compact and energy efficient. Walchem, since 1989, is a leading manufacturer of on-line analytical instruments and electronic metering pumps. Walchem provides Controllers for chemical treatment of industrial water. Walchem integrates advanced sensing, instrumentation, fluid pumping and extensive remote data communications technologies to deliver innovative solutions to global water treatment market. Walchem provides innovative solutions by integrating instruments, sensors, fluid handling and extensive remote data communications technologies. Yamada Corporation, a renowned engineering and manufacturing company, has been a leading producer of industrial equipments since 1905. Yamada Corporation, a familiy owned company, is having its headquarter in Tokyo, Japan and overseas subidiaries at Netherlands, USA, and China. Yamada also has its worldwide presence in total 55 countries through 96 distributors. Yamada Corporation, an ISO 9001 certfied organisation, is having turnover of 8.1 Billion Yen and total manpower of 230 employees. Yamada specializes in air operated and electric operated fluid handling products including a comprehensive range of air operated double diaphragm pumps, air piston pumps and various kinds of automotive service equipments. Yamada products are acclaimed throughout the world for their high quality and operational reliability. AkeBoose, established in 1976 by the Swedish engineer Ake Bööse in order to develop the Strip-Blade doctoring system for gravure and flexo printing. AkeBoose product lines cover the entire spectrum of ink metering systems. They supply tailor made doctoring systems as well as complete chamber blade systems and ink handling systems. AkeBoose is a global provider of inking chambers and doctoring systems for flexo and gravure printing. EcoAxis, established in 2005, is now a business unit of A.T.E. Enterprises. Besides hardware and software solutions for individual asset management and performance enhancement through remote monitoring. EcoAxis also manufactures register control system ‘ALYGN’ for the offset, flexographic, rotogravure printing industry. N.I.R.A., established in 1987, started out designing and producing process gas chromatography analyzers, and has since divided into three main lines of instruments: the converting control line, the environmental monitoring line, and the laboratory equipment line. Their product range includes LEL monitoring system, automatic air recirculation system, automatic analyzer for residual solvent and portable hydro carbon analyzer. Switzerland-based Fasnacht Dynamics AG is servicing the packaging and label manufacturing industries worldwide. More than 30 years ago, Fasnacht Dynamics AG became the first company in the world to develop specialised viscosity control systems for the printing industry. They now supply reliable viscosity measuring and temperature control for water- and solvent-based inks in flexo and gravure printing, adhesives, 2K-inks, and lacquers.These products help define standards recognised throughout the printing industry. Fasnacht's team of development engineers work closely with both machinery manufacturers and end customers in order to find the most cost-effective solutions to challenges facing the market. Started over 20 years ago, Irac Tech S.r.l. specializes in the use and recovery of solvents. Irac's products are designed with a strong focus on practicality in use and safety, as well as with a view to mitigate the environmental impacts of solvent emissions. They are thus manufactured using top quality components and construction. IRAC addresses all market segments where solvents, (flammable or not, and including water) are the best means for washing, degreasing, cleaning. Founded in 2005, Daiki has led Japan's water treatment industry and continues to create many "Industry firsts". The company designs, manufactures and distributes packaged sewage treatment plants using synthetic resins and other materials. The treatment process comprising of 5 stages are contained in a single tank, facilitating quick installation, savings in power consumption and space. These products have been certified by the Japan Environment Association and carry the EcoMark certification. The company has manufacturing facilities in Japan and Indonesia to meet the domestic and overseas demand for its products.